Practical handling and sophisticated design combines the Rottner Stainless Steel Letterbox Hochhaus II. The letter slot, which is protected by a flap, offers enough space even for A4 size mail. For your personal name badge, you will find the space reserved for this purpose. With the Hochhaus II, your mail is stored securely and protected against all weather conditions. 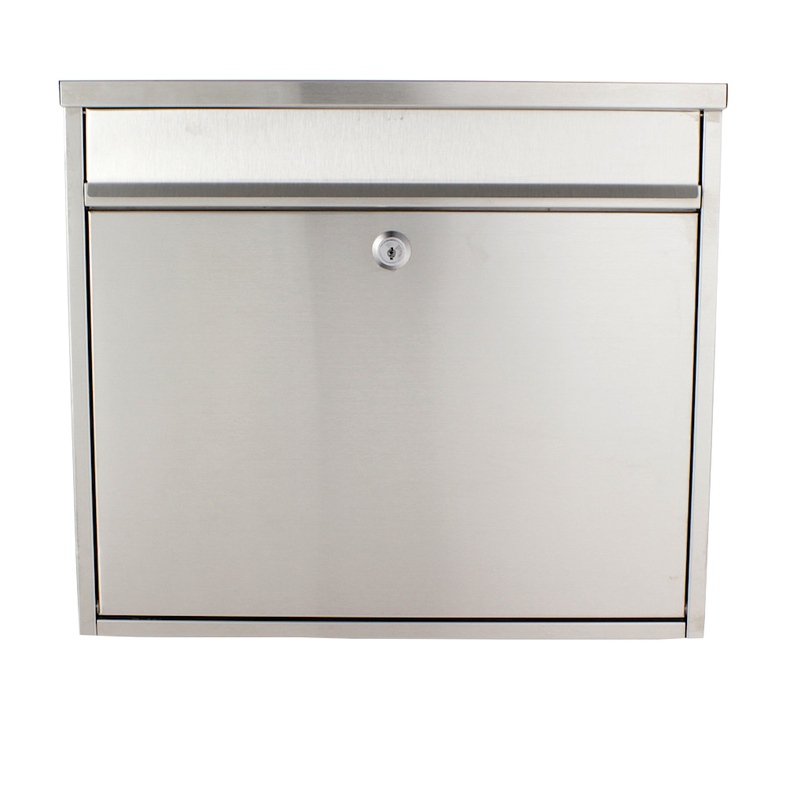 The Rottner Stainless Steel Mailbox Hochhaus II is a spacious mailbox made from high-quality, brushed stainless steel. With its simple, harmonious design, it fits perfectly into every façade.